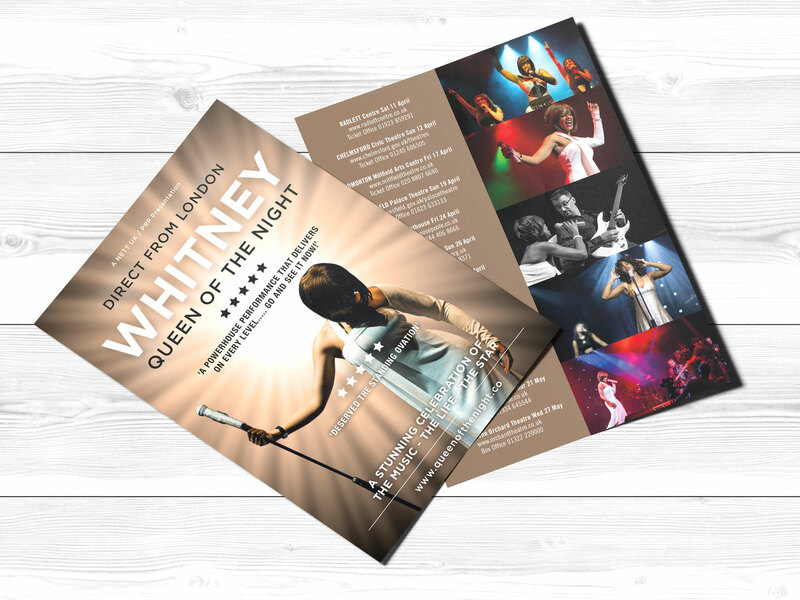 Live entertainment specialists Nett UK required a poster for their new theatre production, Whitney Queen of the Night. 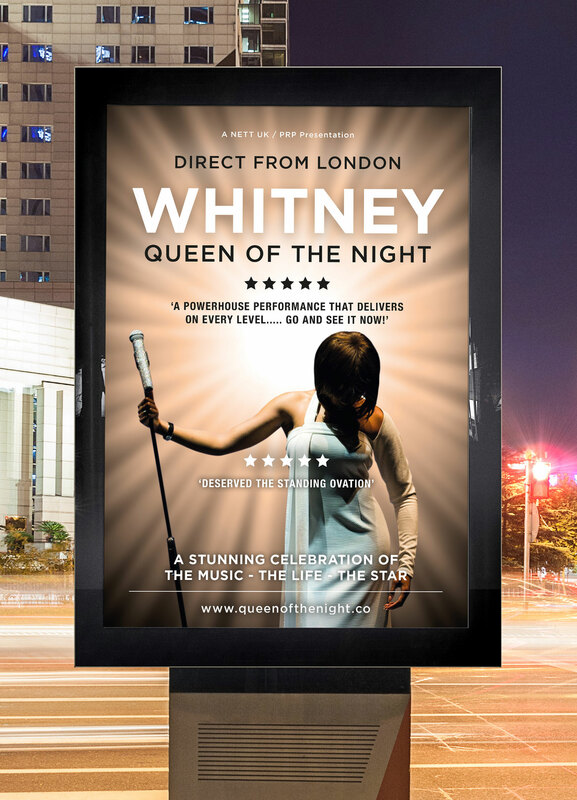 The iconic pose highlighted by the light burst creates a powerful image and the key building block for this poster. The simplistic black and white text reinforces the images with out detracting the eye with unnecessary colour.